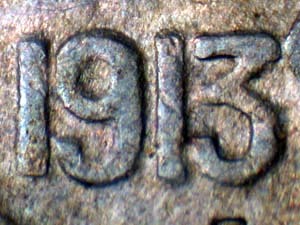 1913 Type 2 over 1: Proves that there was no Obverse design change affecting the date for the 1913 MH. 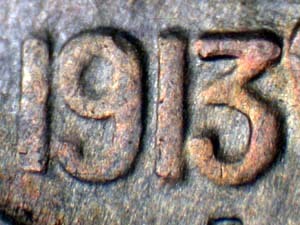 1914 over 1913: Proves that the 1914 MH was made from a 3 digit partial 1913 MH. 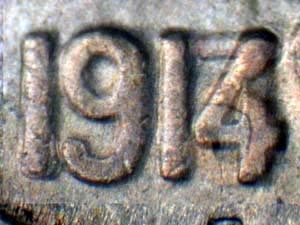 Note how the 191 align perfectly. 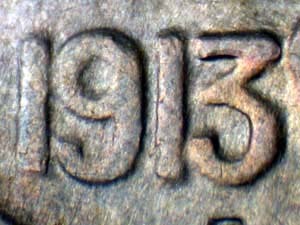 1913 over 1914: Shows how the top bar of the 3 extends just Right of the vertical bar of the 4. 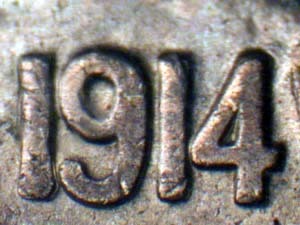 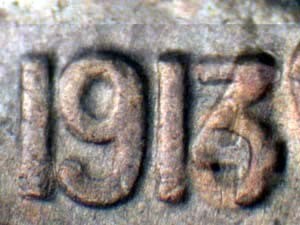 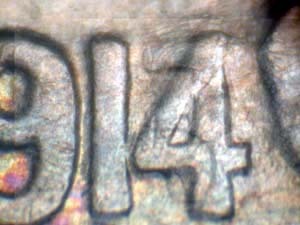 1913 over 1914/3: Shows that the top bar of the 3 falls into the path of the die scratches in front of and behind the 4, though many die scratches are above the 4.